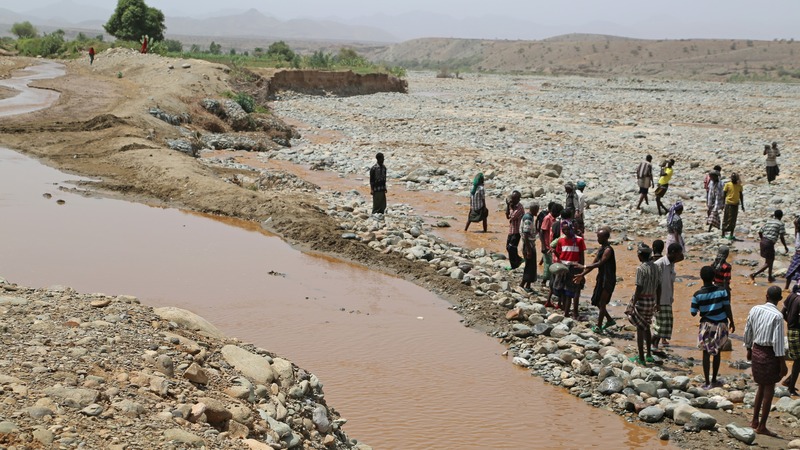 Initially, it was available in four regions - Tigray, Amhara, Oromiya, and the Southern Nations and Nationalities’ Peoples’ Region - and was later extended to the more remote regions of Afar (in 2006) and the Somali Region (2007), according to the World Bank, one of its main backers. PSNP provides transfers - cash or food - to between six and eight million chronically food insecure Ethiopians for six months each year, according to DFID. At least 85 percent of the beneficiaries receive cash transfers as wages for labour on small-scale public works projects. These projects are selected by the community and contribute to environmental rehabilitation and local economic development, while 15 percent are “direct support” beneficiaries (disabled, elderly, pregnant or lactating women) who receive unconditional transfers. “It is very hard for these families to become food secure. They are too poor… When you have nothing - no animals [no assets] - it is very difficult to recover from shocks [like droughts],” he said. "Any small variation in rainfall or world prices (for coffee) affects the incomes of 30 to 40 million people and can mean hunger for 10 to 15 million people"
The evaluation - a collaborative effort between IFPRI, Institute for Development Studies and Dadimos Consulting in Ethiopia - says: “PSNP has significantly improved food security in all regions between 2010 and 2012. While there remain differences in food security across regions, these differences are narrowing. Food security improved for both male and female headed households…” It has also rehabilitated the environment and natural resources, and improved access to education and health care. "At the end of the day, what PSNP has achieved so far is an example to other developing countries of what political will can do"
People are also unhappy with the 15kg of cereal handed out by WFP as monthly payment for public works under PSNP. “We need something more - some oil, beans perhaps,” said Amina Aliyou, a resident of Sebana-Demale.